Flower Order Form– You can pre-order flowers for your skater to be ready for pickup the day of the show! Safe Sport Requirements– Parents & Guardians, PLEASE READ. Northwoods Figure Skating Club’s (NFSC) annual ice show is our celebration event where all of our skaters, from Snow Plow Sam to our advanced levels, are given the opportunity to showcase and perform the skating skills they have learned and accomplished throughout the year. We encourage all skaters to participate in the show, but it is not mandatory. The cost per skater includes: participation in the group number, coaching fees, choreography, music, ice fees, t-shirt, participation medal, costume, one pair of tights, professional photo in the show program, access to professional action photos of the show performance with free downloads. 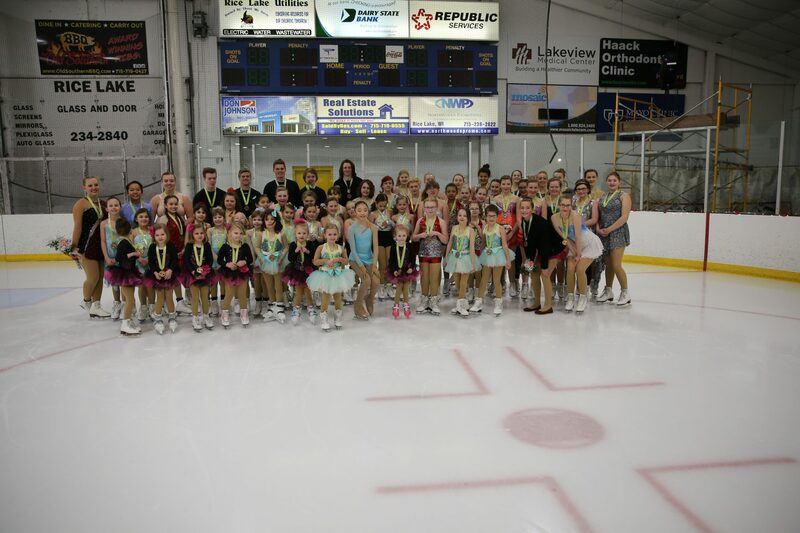 Once skaters have committed to the show, all skaters must actively skate with NFSC in the TWO consecutive sessions prior to the start of show practice weeks. 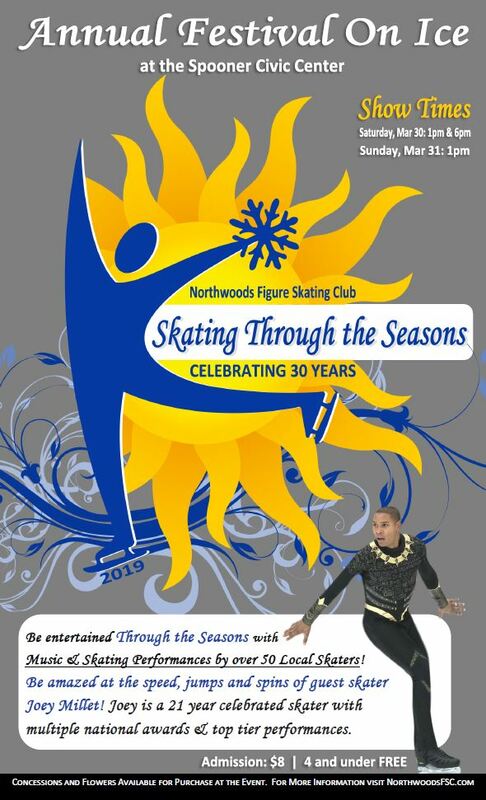 Free Style skaters must skate with NFSC for a minimum of 10 hours during the current season prior to the start of show practices. ALL show practices are mandatory for ALL skaters. Each skater must have a representative in their family volunteer for two (2) of the show committees during the weekend of the show. We need everyone’s help to make every show a success! Skaters are also responsible to obtain sponsorships for the show. Without sponsors, we would not be able to offer this opportunity for our skaters at an affordable price. Sponsorships help keep the cost down of the show. Professional photography will be offered for all skaters participating in the show. The club would like ALL skaters to attend the photo session, as the photos will be used in the program. Purchase of the photos are optional.